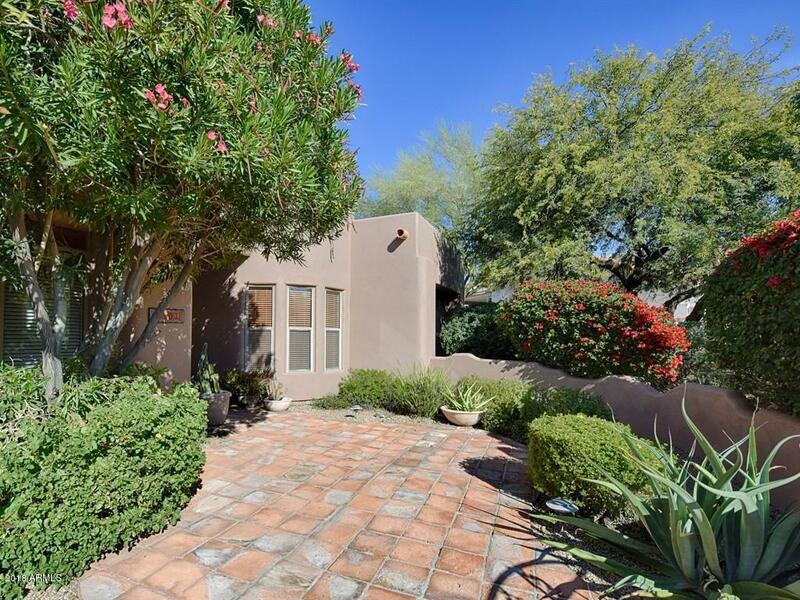 In one of N. Scottsdale's most charming neighborhoods, step onto this 8/10s of an acre property. 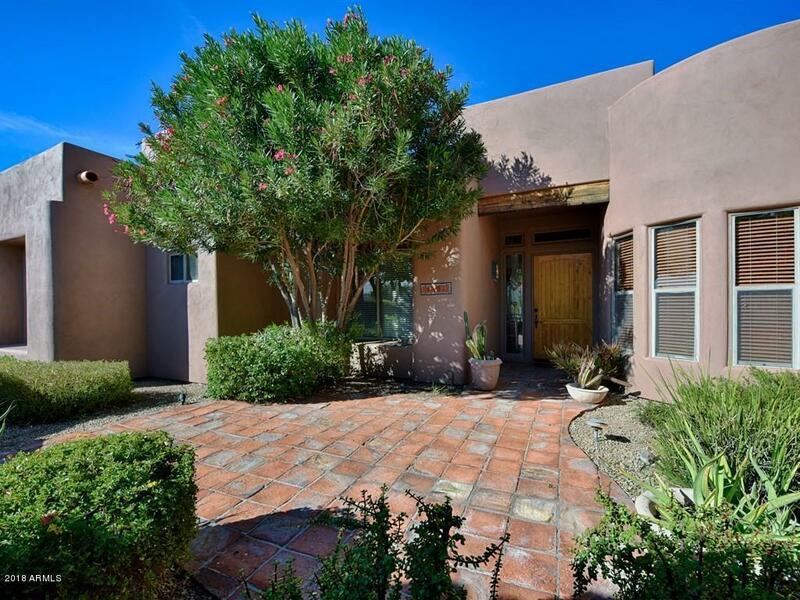 Enter thru an intimate courtyard into this 4 BR, 2.5 Bath split floorplan home. 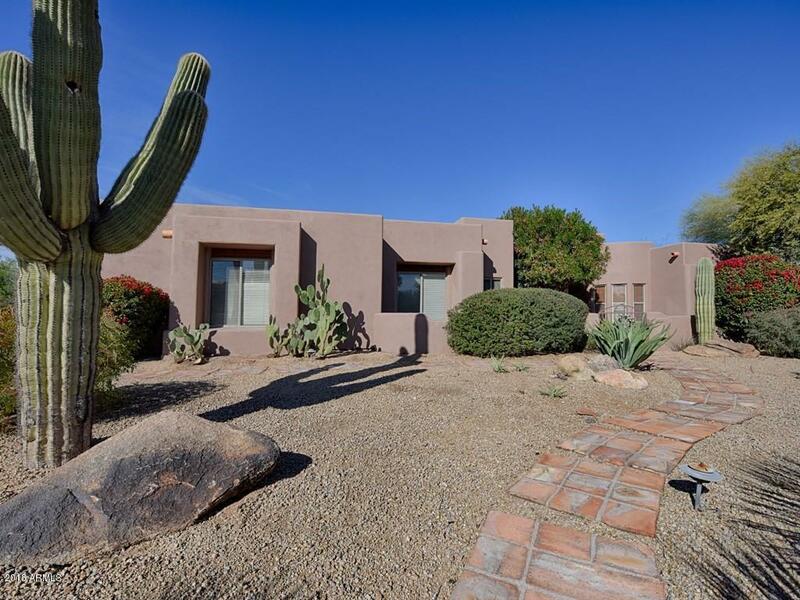 All baths & kitchen just renovated, mixing modern comforts and sensibility with old world charm.Large Master suite features rambling, gracious bath plus doors to the patio for a late night dip in the extremely private pool. 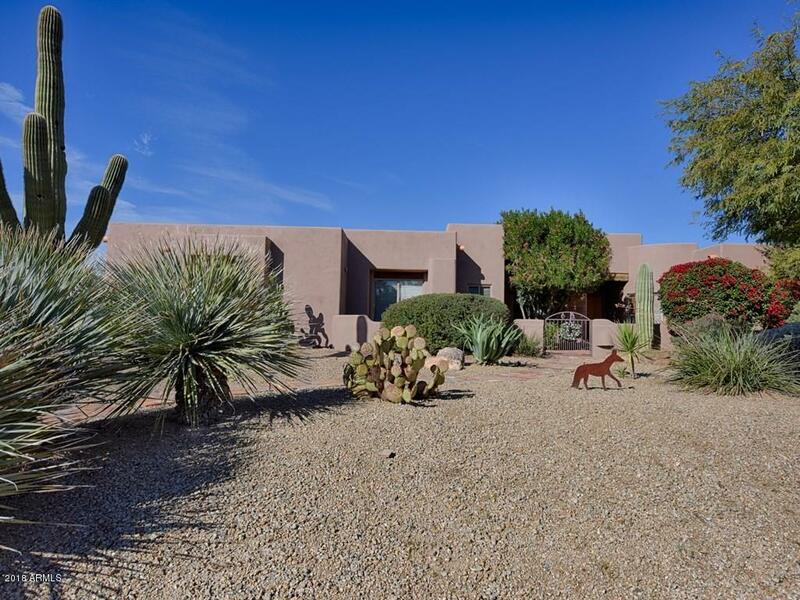 While in the back, check out those views or pop up onto the observation deck for city lights and a million dollar view of Pinnacle Peak and the McDowells. Huge back yard wraps around to the 3+ car garage. Boasting both a Formal and Family room with wood burning fireplace, there are great spaces to host and entertain, including a cozy breakfast room off the kitchen. Kitchen has a large walk in..